The PGA tour continues it’s 2018 opening events in Hawaii at the beautiful Waialae Country Club in Honolulu. This is the first full field event of the season and for a lot of players their first tour action in months. 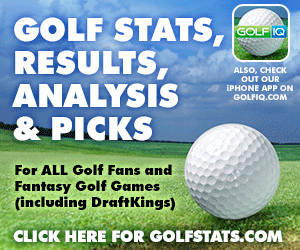 Let’s take a deeper look at the course and what stats you should be paying attention to for your fantasy golf teams. 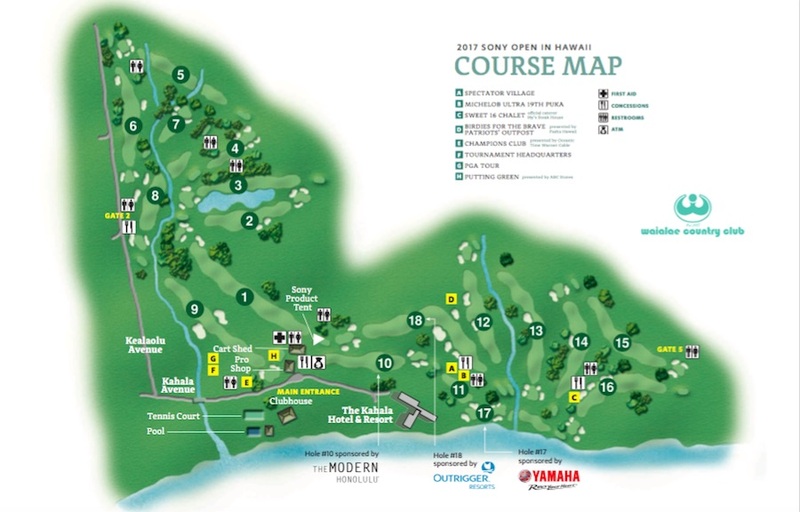 The Sony Open has been played on this course since 1965 so course history will come into play when selecting your fantasy golfers. This course is relatively short in length ranking 47th out of the 57 courses on tour this season, so there will be no big advantage for any of the long drivers. This is one of the easiest courses to play for the pros with the average score being 68.24 last year. It was in fact, the lowest average score per 4 rounds on tour. Driving accuracy will come into play more than distance as the fairways here at Waialae are in fairness hard to hit. For a course in Hawaii you would expect more water to come into play but only 3 holes have water hazards to worry about. The course is mostly tree lined and if the weather calls for wind it will affect the ball flights. This is a course where GIR and ball striking come into play more than anything else. We are mainly looking at players with accurate approach shots and to our point previously it will certainly help if they are accurate of the tee and not scrambling out of the weeds every hole. The greens are Bermuda and fairly small to hit. That being said birdies will not be hard to come by as we mentioned earlier this is was the easiest scoring tournament in 2017. The past 3 years have seen scores in the -20’s and in fact there has not been a single digit winner since 1999. 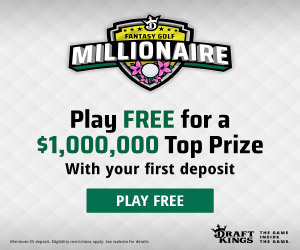 Needless, to say you are going to need birdies and lots of them from your fantasy team of golfers to take down any big prizes. While there is no water to worry about almost every hole on this course is protected by bunkers and usually more than one. Scrambling and sand saves will be secondary stats to take a look at. Take a look at driving accuracy and sand save % but do not base all your research on them, especially driving accuracy. You would think it would be the most important stat on such a narrow, short course but it has not correlated well with winners the past few years. I’m putting most of my analysis on players with good GIR and who have been playing well leading into this tournament. There is something about a Par 5 on the 18th hole that adds a little extra excitement to a tournament. 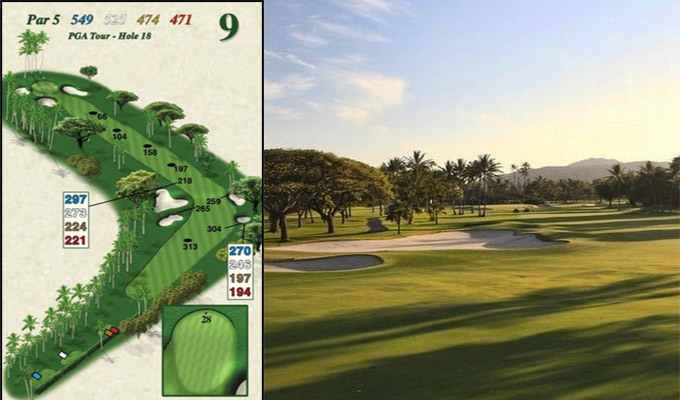 The par 5 finishing hole here at Waialae has been the home of some exciting finishes most notably in 1983 when Isao Aoki drained it from the fairway for an amazing hole-out eagle victory. This hole is reachable in 2 swings but a bunker right in the dogleg makes the tee shot a real thinker for most players. The average score is 4.40 with 56% making birdie and 41% par. You got to nail a birdie on this hole if the Sony Open is in your sights so it’s going to lead to some very exciting putts this year.